You’ve given your time and talent as a military veteran. You’ve demonstrated your commitment to career development with pride and passion during your service years. You’ve seen, heard and had experiences unique to only those who have served their country. 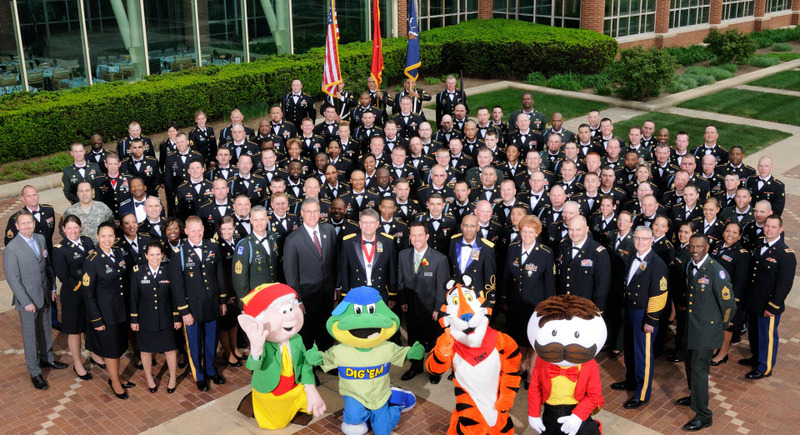 From Plant Operation Supervisors to Senior Financial Analysts, Kellogg offers opportunities for military veterans to grow with us. We are proud of our history of recruiting and developing veterans across the United States and are committed to recruiting and hiring more. We recognize that military-experienced talent bring exceptional and valuable knowledge, skills and experience to our company. The values that you’ve come to learn and live through your service are similar to our K Values, which describe who we are, what we believe and what brings us together as a global community. Our K Values – integrity, respect, accountability, passion, humility, hunger, simplicity and success - help define what makes our company and our people special and how we all play a unique and critical role in the ongoing success of Kellogg. W.K. Kellogg saw a better way—shaping our industry through a passion for people, and the goodness of food. And every day, we continue our founder’s legacy of leadership. Together we take the steps that show the way, with a vision for tomorrow and a plan to get there. We encourage you apply for a position that leverages your military experience and invite you to grow and lead with us. WE ARE AN EQUAL OPPORTUNITY EMPLOYER AND ALL QUALIFIED APPLICANTS WILL RECEIVE CONSIDERATION FOR EMPLOYMENT WITHOUT REGARD TO RACE, COLOR, ETHNICITY, DISABILITY, RELIGION, NATIONAL ORIGIN, GENDER, GENDER IDENTITY, GENDER EXPRESSION, MARITAL STATUS, SEXUAL ORIENTATION, AGE, PROTECTED VETERAN STATUS, OR ANY OTHER CHARACTERISTIC PROTECTED BY LAW.